Small to large retail business owners who are serious about POS, inventory management, customers and employees. Pros: When it comes to choosing the right eCommerce platform for WordPress, it's the most rock-solid, safest choice for any long term use based on my experience from over a dozen store launches. - The plugin is frequently updated, compatible and tightly integrated with WordPress (as WooCommerce was purchased by WordPress' parent company in 2015) - The core WooCommerce plugin is freely available to install, which would work for many small, generic storefronts. - Offers the largest selection of third-party plugins/extensions available for WordPress ecommerce. - Wide out-of-the-box support with popular third-party WordPress themes. - Relatively easy and fast to set up, with good documentation; offers a few free starter themes via the WooCommerce store. - If you're willing to pay, WooCommerce can do just about anything and integrates with almost anything. - The WooCommerce core plugin is built mostly barebones (using extensions to add functionality), which brings better speed and less bugs. - Good customer service support and detailed documentation for their paid WooCommerce add-on extensions. - Offers very powerful Zapier support (requires a paid add-on). I've never had any point where I've considered using another online store platform with WordPress, or even one of the many non-WordPress hosted ecommerce website subscription solutions. Cons: - WooCommerce extensions are surprisingly expensive and also subscription-based, requiring an annual fee. Inexpensive third-party alternatives exist, but there is risk involved. - Building an extended "platform" such as a membership site / offering subscriptions (for example) can require multiple paid WooCommerce add-ons that rack up hundreds of dollars in annual fees. - WooCommerce mobile app tools do exist, but do not offer much functionality beyond sales reports. - Highly customized WordPress stores using a lot of plugins are at an increased risk to see major conflicts and performance degradation, and troubleshooting can be difficult. Pros: I love that Woocommerce is on Wordpress, and that it supports third-party plugins. They offer a slew of plug-ins themselves. This enables you to build in the features you want, and not have very much added bulk and useless features taking up space on your server. It's almost ridiculously simple 90% of the time, with little need for assistance. On the rare occasion that you might need it, they have a lot of documentation for the program itself as well as their plug-ins. Their customer service is helpful the majority of the time. For a while they would take 1-2 days to reply to an email, and only had email support as an option, but in the past 6-12 months they added live chat and made the experience 100% better. They've even stepped up their game in being more proactive about their support than they used to be also. If you want to have complete control over the look, feel, and data of your site, I highly recommend that you go with Woocommerce. Cons: Their plug-ins are a bit pricey. To be fair, they only have an annual fee, but they are a bit steep depending on the feature that you want. It would be a lot better if they charged a single annual fee or monthly fee, and allowed unfettered access to all of their plug-ins. That way, you wouldn't have a different annual billing date for each of those little extra features you thought of adding later on, nor would the cost be so astronomical. There are often third-party alternative plug-ins, but the issue is that Woocommerce's plug-ins usually work best (as they should since it's their platform). Additionally, implementation of requests for new features on any plug-in or Woocommerce itself seems to be rather slow, and they don't take suggestions via customer service, but rather via forum and user voting. Overall: I have been able to build, and more specifically custom tailor, multiple online stores for a variety of clients with relative ease. Comments: We've enjoyed WooCommerce during the last few years and have found it to be a solid e-commerce solution for our business. The system continues to improve and grow and we would recommend it to any companies looking for a powerful, customizable platform from which to launch their online sales and manage their customer base. Pros: WooCommerce forms the backbone of our e-commerce website and we've been using it for around five years at this point. It handles a high quantity of orders with ease and its customization options are so far-reaching that if you can dream of a plugin for the system, it probably already exists or is under development somewhere (this may have something to do with its integration into Wordpress). Recently, we've been utilizing the Subscriptions feature to more accurately manage our customers' accounts, and this feature is particularly useful for recurring transactions. Coupons are easy to create and keep track of and WooCommerce can also be linked to external systems for more accurate monetary calculations and other relevant business features. Cons: Reporting within the system does leave something to be desired. We've found that the reporting dashboard is fairly limited, particularly for more advanced metrics that can be found in systems like Quickbooks. However, as noted above, the system can be linked to other systems using plugins and various connectors, so it's possible to extract that detailed sales data if need be. On occasion the sheer amount of customization options can be overwhelming, as well, though this is a better problem to have than a system with too few options. The various plugins just need to be managed in a coherent fashion to ensure site stability. Pros: What can I say about WooCommerce? It is the best DIY solution for anyone wanting to create a store online of their own - and on their own. And if you don't want to DIY, there are plenty of people offering to do it for you at very low cost. What is great about WooCommerce is it integrates seamlessly with WordPress and the basic functionality in order to makes sales is totally FREE. Of course, if you want to enhance your store and have a really professional-looking one, there are so many plugins/themes both free and paid, that can help you achieve that. And not only that, WooCommerce is always updated so that it stays secure and cutting edge. Everything you need to build a store online is already available in WooCommerce. Cons: Integration with Paypal is not really good. When you need to create a specific checkout page with the specific logo of your store showing on that page, you need to setup an entirely new Paypal account just for it. Paypal used to support multiple Custom Checkout logos under one single Paypal account, but this changed late in 2016. Besides this issue, WooCommerce support takes a while to reply, if you email them with an issue, although paid help is readily available from numerous online WordPress/WooCommerce experts, so you are never really stranded. Overall: WooCommerce is invaluable in helping me deploy an online store, and it has all the features I need run it well (in conjunction with numerous third party plugins). It is always updated, easy to manage, and does not require too much server resources. Best of all, the cost of running a WooCommerce store is much less than other professional platforms of a similar nature. Pros: Woocommerce is free and easy to use, so as a business owner I was able to take the time to learn how to use it and create my own website with Wordpress and Woocommerce. I have no web design background, but was able to learn thru google and helpful articles and videos. As a platform, Wordpress is built to be easy to use and have made it simple for developers to create and sell useful plugins. Woocommerce is a great add-on to Wordpress and has allowed me and others to create beautiful and effective shopping carts. If we had to pay someone to custom create and maintain a site for us it would have been tens of thousands of dollars. Cons: Because Wordpress is a free base and countless developers can create their own plugins, there can be a lot of conflicts between plugins. Especially when there are essential or major updates to Wordpress or Woocommerce. This can have a huge impact on a website, and you need to be prepared to test major updates before they go live. One update once changed the entire structure of variable products and created hours and hours of work on the backend for us. You would not see this with a contained shopping cart (like 3DCart), but that's because you pay more for the other services. For the price, Woocommerce is unmatched. Overall: We saved tens of thousands by using Woocommerce to build our online site. We make sales daily thru it and are able to design and setup the site exactly to fit our needs. Pros: - Full featured POS software with everything our previous POS station had and more. Cons: - You can't modify SKU numbers easily. The workaround after changing an SKU number in WooCommerce would be to delete and re-import the product into WooPOS. Overall: If you have a retail business and are looking to link it to an ecommerce platform, WooPOS is the best solution on the market. Prior to using WooPOS I tried web based POS systems on the market such as "WooCommerce Point of Sale (POS)" by actualityextensions and "WooCommerce POS" by kilbot, only to find the them lacking in features, slow and prone to crashing. Having used WooPOS for over a year, I find the software reliable, frequently updated and a key part of bringing my brick and mortar business into the eCommerce space. Pros: I had a client who needed a store and wanted me to build it an host it. Since I use wordpress for all my sites I'd already known about woocommerce. Its allowed me to build a very flexible, powerful store that can do almost anything I ask of it, as long as my client can continue to pay for the yearly renewals. Cons: Its expensive if you run anything more than a very simple store with simple products. As soon as you want to process credit cards, thats a paid plugin, you want to add the cost of goods (a feature free by default in 99% of its competitors), thats paid plugin. I would necessarily call it a full eCommerce solution, more like a solution framework that you need to buy multiple once a year renewing addons. Overall: Its a great, powerful peice of software, makes for a very flexible and complete store. But you need to pay to get their, other competitors already offer the options in a monthly paid format and include phone support. But those are different models. Its working for this client and I'm glad they are happy. I would consider it again, but perhaps a little closer eye on the yearly cost. Pros: Powerful support with many POS features. easy integration with woocommerce. flexible with acceptable price license model. support Arabic language and can be translated easily. have sandbox training view to play around with system with risk free. multiple reports available and can be exported to excel easily. have multiple currencies that can be used for payments. can generate Purchase orders, quotes and layaway invoices. include vendor and customer management databases. can see historical transactions per customer or products. can customize few screens and have quick lunch buttons. 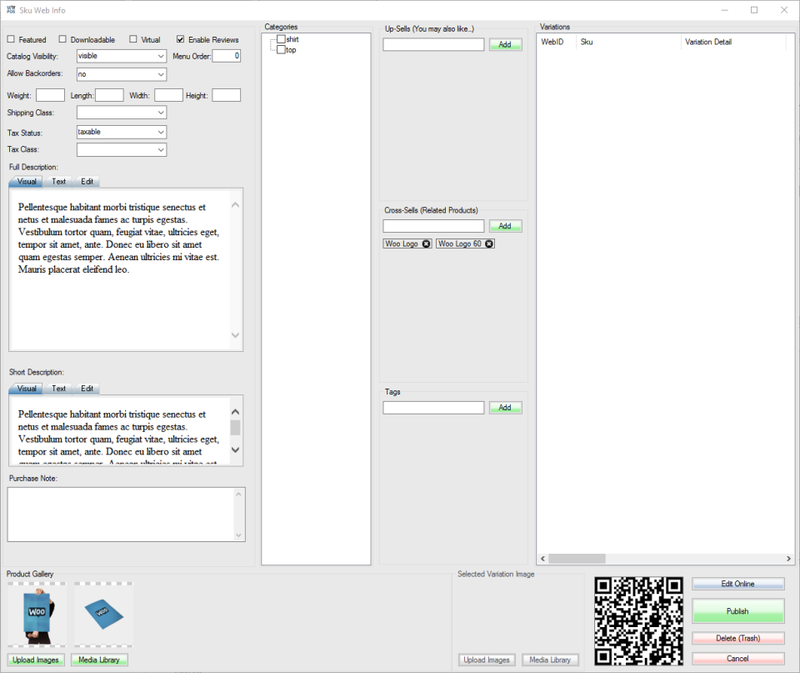 Cons: some features and menus are embeded inside other views like POS screen, there is no central screen that include all the powerful features in one please, so you need time to find the exact location of each feature. Overall: WooPOS is the only system that we found that helped us to work offline with normal POS software, and on the same time integrate with our Woocommerce online store. moving inventory between online and offline stores is very easy. it reduce the duplicate works that we used to do when publishing new products. Pros: *UI The looks of the Woo are getting better after each new release (happens very often) and their team is doing a lot to bring the best to the customers. *Out of the box features When you install Woo and and have in mind to create a simple shop fast - Woo can help you do just that in a matter of minutes. All you need is to follow simple guidance and in few hours you can start selling. Cons: *Pricing Even though woo commerce itself is free - any kind of additional plugins are just unreasonable expensive. Even the simple mail integration or bulk pricing is going to cost you. *A lot of old features Many things in Woo are outdated. The fact that there are not many competing solutions should not stop the Woo team and I believe that they will dedicate their work into simplifying the experience and make the whole e-commerce work smarter for a new customer. Pros: I can easily edit any part of our site from the home page to the Buy button. I also like to work to publish beautiful content and create a powerful brand. I like the way to control all my clients. I have the ability to manage the tax account. Also, I like to work on the installation and a simple way to change everything I need there, i also love not having to collect information from the credit card, but I can simply integrate Amazon Pay and Paypal. It creates less responsibility for me and my business at the same time that it allows consumers to shop online safely. Another good part is that you will get the WooCommerce developers at the most economical rate compared to other e-commerce solutions and there are many developers available online. Cons: The platform may need to be updated frequently due to updates that can be an update task while making sure that your current website does not break during the update. In addition, there may be a slight learning curve due to the number of features. Overall: I was impressed by how I was able to create a customized solution for my client, which has very diverse shipping parameters, including different products, different box sizes, different shipping locations and more. Comments: Open source software offers the benefit of lower cost than most commercial software and a majority of websites are developed using WordPress, which is one of the most widely used open source content management systems. WooCommerce is consistently rated among the top shopping cart solutions for WordPress. As a professional web developer it is my "Go To" e-commerce solution for my customers who are using WordPress. You can have a great looking site done in a day. Pros: Ease of installation, Huge number of add-on modules. Numerous payment gateways. Easy to integrate shipping. Ability to generate product feeds for Google Adwords, Amazon, and Bing shopping. Cons: Many of the premium modules require annual subscriptions so you do need to be aware of the cost when comparing open source software to an off the shelf shopping cart solution. (a good developer will be able to help you determine what your costs will be before you get started). Comments: I love WooCommerce and often recommend it, but that recommendation always comes with caveats about the unseen costs and troubles. It may seem like the best solution but it might not always be the best solution. It also integrates easily with Printful, which is always a plus for me. Pros: WooComerce is my favorite WP shop so far. The basic plug in offers almost everything most shops needs to get up and running and it offers enough free upgrades to make your shop feel pretty complete. Cons: The biggest con for WooCommerce is that getting anything above the basics can be costly and means you need to be ready to have a fairly hefty overhead if you want to build out anything past the basics as most advanced packages have recurring costs in the hundreds of dollars annually. The other draw back (for any wp, self hosted shop) is that you have to make sure you have your wp secure, maintained and compliant if you are going to be running a shop of any size. Payment Gateways help but since the cart is hosted on your site you should be sure to set yourself up properly, which can again lead to some unexpected costs and headaches you may have been hoping to avoid by hosting your own wp-shop. Pros: What makes Woocommerce greatis the fact that it is higly cutomizable. WIth your every need it can exceed your expectations by far. Built for speed and custom it is another great tool to work with as a designer. The easy to install and manage make it for users ideal for small and large shops. You can manage a multi store from the same dashboard and start making some severe changes. Cons: The export data function should be tailored for less fields or make it more compact, it is great for export import in the same ecommerce platform but a nighmare just to upload it to something else. Pros: It is so easy to use and to integrate in your webpage using wordpress. It allows you to easily create a digital selling platform that will make your business easier to manage, since you will receive an email every time someone buys through Woocommerce. Plus, there are a lot of integrations you can add on it, and you can even allow payments to be done with PayPal or safety payments with credits card, etc. Cons: No major cons, but once we stopped receiving the email every time someone bought something. We tried to solve this but no one could so we had to check manually every certain time if somebody had bought something. After a couple of months, we started receiving the emails again. Overall: Good software, useful as well as easy. It's only use is to sell things through a web page and it does it very well. If you are using Wordpress as your CMS, this is the E-Commerce solution for you. Pros: WooCommerce is pretty much the defacto standard for E-Commerce if you are using Wordpress for your CMS (Content Management System). WooCommerce is owned by Automattic which is the parent company of Wordpress so there is no danger of your E-Commerce provider ever shutting down.The code for the plugin will always be improved and patched for security exploits. There are Thousands of add on plugins for WooCommerce, if you need a certain functionality for your shopping cart or online catalog there is almost certainly a plugin to provide that functionality. In the rare case you couldn't find the perfect plugin there is an abundance of very proficient woo commerce programmers that custom code your solution. Cons: I'd love to see more value in the core WooCommerce product. ie more free/complimentary features and better prices on bundles of popular/most useful add-ons. It seems like every time I want to add a feature to WooCommerce it requires another subscription or add-on payment which can easily add up to hundreds/thousands of dollars a year which cuts into profit margins. Pros: This plugin has the ability to do most anything you need with an e-commerce website. We've integrated it several ways into sites for ourselves and for clients. From subscriptions, digital products, to shipping products... woocommerce has been able to do it all for us. Cons: There are times when you require something more specific out of the plugin functionality and need to use CSS and PHP code to make it work... which means you need to either be or have at hand a developer that understands those codes. Overall: Woocommerce has made it so much easier for me to set up an ecommerce website for clients, saving me loads of time. The best eCommerce software in the world! Comments: I've been using WooCommerce for many years and it's always my go-to software for any project eCommerce related. Cons: - It's difficult to give a con for WooCommerce but if I had to I would say that for an absolute beginner, it can be a bit difficult to use and to get used to but that difficulty disappears quickly after using it for a little while. Hands down the easiest shopping plugin around. Pros: I left Weebly because the Ecommerce options were getting out of control price-wise. I needed something simple, affordable, and easy to maintain. WooCommerce hit all those buttons. I was able to get my author store up and running fairly quickly, the options are easy to understand. It's built from the ground up to be effective for all users and easy to hop right into as a newbie. There are tons of add-ons for it, anything you need, you can likely find already custom made. Cons: For most customizations, you're looking at an extra cost. It's not easy to do the simplest things, like change the colors of the cart and checkout pages to match your site colors, or to edit those pages to add your own buttons or remove some of their default text, for example. The search functions aren't intuitive, you have to create custom filters per category or it shows all categories no matter what category you pick to show. These things were very frustrating for me as a new user, and almost made me walk away before I took a break and came back with a fresh state of mind to tackle it. While the bulk of WooCommerce is easy to set up and operate, some simple things like these seem so much harder than they should be. Pros: So many plugins that makes the end-user and administrator happy. You can get complete analytics for sales, abandoned carts, and integrate custom email campaigns with Woocommerce. Set up is easy with a low learning curve as when you first install the plugin it immediately shoots you into a quick start setup. There are tons of tutorials online that make Woocommerce more efficient as well as resolving issues a snap. Cons: Depending on your hosting resource limits adding Woocommerce can slow down the performance of your website. Pros: WooCommerce is an excellent and full featured "free" mature online store plugin for Wordpress. While, out of the box, there are many features that are lacking, it is fairly easy to find whatever add ons you feel are necessary for your store. While the plugin is free, for a custom store experience, you will need to purchase some, or a bunch of, additional plugins. I consider this a positive as you can customize your store and shopping experience to your heart's desire. Cons: WooCommerce, now owned by the same company as Wordpress, seems more interested in creating paid extensions than beefing up their main program. Their free theme "Storefront" is adequate, but for the best custom experience of website and store, I would recommend BeaverBuilder and Beaver Themer. Between the two they will allow you to fully customize your Wordpress site and store. Woocommerce is a great product that turns any Wordpress site into an online store with a click. Pros: Woocommerce worked "out of the box" and I was able to set up selling immediately. I've found it to be robust enough for a new seller, with limited experience. And it's been relatively easy on the front-facing side for customers as well. Cons: As I have utilized the software, I've realized that it comes with very basic functionality, and the only way to make it a true, fully-functioning store with the bells and whistles to operate professionally, is to buy an add-on, okay a couple... well several add-ons. The problem with that is Wordpress. If you have any knowledge about Wordpress, the more plugins you utilize the heavier the site gets and the more time it takes to load the site, and the more possible problems can arise. I've had all the plugins for several months, and so far so good (fingers crossed). Overall: WooCommerce has enabled me to set up sales online with very little knowledge of how to do it, or where to start. The cost is low and the support is great. With woo commerce I've started bringing in over average in sales and it keeps growing. Pros: Fairly straightforward to use once you get the hang of the order fulfilment process. It has the add-ins we need such as USPS which helps us streamline our process a bit. It's still a bit tedious to fill orders, but it's getting better the more we learn and the more we functionality we enable. Cons: It can be a bit tricky to learn at first, but it's not too difficult. The process for filling orders is still a bit longer and slower than I'd like, but we're learning more and streamlining it all the time. Overall: We use it daily to handle all of our customer orders, from payment through order fulfilment and shipping. It's helping us streamline our process and handle orders efficiently. Pros: Its so stable, well built, FREE and powerful. Its a real barebones solution but you can have a store up and running within hours without having to pay Wix, Squarespace or any other fools a monthly fee. If you think that is great you should see the plugin library. Cons: Its bare bones, it does the job but if you want the better features they cost money. The difference is the money is a once off fee not a SaaS subscription. Overall: Its the best, it has the best tools to price to ease ratio out. Pros: Woocommerce is easily the best tool for building a self hosted webstore. It's basis on wordpress allows for a great and easily accessible API, so you can quickly integrate it into your own apps. The system includes so many payment gateway integrations and addons for ticket sales, downloads and anything else you may need. Cons: Woocommerce is not great if you require Physical point of sale, but this is trying to use a solution for a problem it wasn't intended for. WooCommerce has a bit of a learning curve at first. Pros: WooCommerce is robust platform for ecommerce merchants selling basic products. It's easy to set up, the back end has a little bit of a learning curve if you've never used Word Press. Products can be bulk uploaded and updated via CSV which is a great feature. Cons: If you need more than what the basic Woocommerce offers you have to purchase plug-ins to get the functionality you are looking for. This can increase cost depending on how many plug-ins you need to add. Pros: It's completely free. The possibilities are immense and all integrated into the same installation of WordPress and WooCommerce. Saving maintenance costs and facilitating site management. It is not necessary to know programming to install and configure Woocommerce, however it is necessary to have basic knowledge about the general functioning of WordPress. Cons: Although the label "Free" may sound wonderful, if you really want to develop your store beyond the basic functionalities it is necessary to invest in add-ons or paid plugins. To get the most out of the platform, it is necessary that the team or responsible person has basic knowledge of the functioning of WordPress and Woocommerce, although in reality it is very easy to configure you need time and knowledge to execute it correctly. Overall: I highly recommend it! Pros: Ideal for WordPress users or developers who prefer a self-hosted, and plug-in friendly e-commerce set up. Not ideal for first-time users or no website backend familiarity. Cons: One major consequence I think that sets WooCommerce from drag and drop e-commerce builder these days is that when a bug happens, you need to contact their developers/support to fix the issue (if you cant fix it), so you need to wait a while. Sometimes its fast, other times it takes days. WooCommerce gets us paid on TIME! Comments: WooCommerce is the go to platform for e commerce. Pros: This is a great payment solution for our wordpress websites. They have never failed at processing our payments and offer solutions for multiple transaction levels. In all honesty, they are the only company I know that handles this because I have never looked any further. Enjoy it. Cons: Some price increases and hikes for more specialty services and features, but thats expected. Everyone has to make money. Pros: I was able to use this platform with very little knowledge on how to build a website. Now that I have been using it several years, it's still easy to use... customizable features are easy to find and plug in. I get lots of compliments on my website. Cons: Some of the templates can be a little cumbersome; however there are plenty to choose from and you're sure to find something that will work for what you need! Overall: Built my entire website with it. Pros: Rewind 6 years ago, I had an idea for an online store. I had no money but loads of time to play with. I chose WooCommerce and never looked back. Still today, it's what I use on every ecommerce project. It absolutely rocks, fullstop. Pros: I really like the fact that you do not have to know anything about programming to use woocommerce. I like the fact that it gets upgraded all the time and I can change and upgrade things anytime I want really easy. Pros: Its free expandable through plugins and with a HUGE community working behind it allowing for almost any changes or additional features you need for your e-commerce to be implemmented using plugins, compatible with most recent free and premium themes and wordpress plugins. Cons: When you start to stacking plugins over plugins to solve all the small missing features or changes you want, your site's complexity start to grow and sometimes is very difficult to optimize it so you have a good performance out of it, a good server and some caches are essential. Pros: Being the number one e-commerce plugin means that you can easily find add-ons, fixes, and other plugins that work with WooCommerce. The price is also a big plus. Cons: When you are building a more complex site you often have to have multiple plugins to accomplish what you want or customize the code. The other things is that the shipping calculation options are not as robust as I would like. I have setup and implemented WooCommerce for a nonprofit selling its curriculum. Pros: With us assortments it's assorment of add-ons, I found it easy to solve all the problems that I have faced. I like that the base of WooCommerce is free and you only have to pay when you need special circumstances. WooCommerce has been a great product for me so far. I have been using it to manage my online store. Pros: The support for digital downloads of online contents, the security and also the perfection for mobile and PC users. Cons: So far, i am 100% ok with WooCommerce and the functionalities it provides me with. I am very satisfied. Overall: This software benefits me in whole lots of ways. I use WooCommerce to manage my online store. It helps me generate lots of sales. I am very happy and satisfied with it. Pros: It is simple, clean and effective. We now have four websites that use it. I highly recommend it over other carts for sure. Cons: Takes way too many plugins to give the cart what I think should be basic functionality already built in. Some of these plugins are not cheap either. Overall: Easy to get the hang of if you want an ecommerce website. Lots of templates out there to get for it too. Pros: Very quick to setup, vast amount of add-ons/templates/upgrades available. Large community support base, lots of different options for the type of products that you are selling physical/virtual/downloads . Cons: Some of the official Woocommerce addons & templates can be very expensive for startup stores, some settings are complicated to change/remove. Pros: Customisability. It can literally do anything you want it to. From custom buttons to custom reports. It's integration with woocommerce is also pretty good, with multiple image uploads one of the definite plus features. Cons: How backward it looks and feels. Unfortunately one of the things that can't be customised is its appearance. It's literally from the 1990s. When setting up the store for the first time, some of the syncing of products and images can take some time. There is no phone connectivity for Woopos. So you can't check your sales while you're on the train. Overall: While support can be a little delayed for me due to time zone difference, the support has been superb and every problem I had was solved, and even some suggestions I had were implemented. The one thing I love is just the ability to really customise what you want your POS system to do, in terms of which buttons you want and the kind of transactions you are doing. one feature I also greatly like is the fact that it can operate offline. In this day and age where 99% of EPOS systems are cloud based, I like the fact that I am not 100% reliant on my ISP. Pros: WooCommerce has to be the most comprehensive software for selling online. There is a plugin for just about any feature you need your online store to offer. Cons: Because your many features are provided by different plugins, it's difficult to receive consistent customer support. Most plugin developers require that you contact then by submitting a ticket. Pros: I love the number of integrations and add ons that you can purchase to add onto woocommerce. This allows you to build out as simple or as complex of an ecommerce solution as needed. Cons: It's a bit confusing to know what plugins and addons you need initially, but once you navigate through the marketplace, it's well worth the initial hump! Pros: The pros of Woocommerce is that it's pretty easy to extend it's features with quality plugins created by Woocommerce itself. Even for more complex scenarios that includes selling memberships and licenses, Woocommerce proved to be a good choice. Cons: Maybe the biggest con is that the software relies on WordPress which has an extensive track record of severe vulnerabilities in the past so it's important that you keep things secure using third party tools and software. Pros: You can easily add and sell your products on the Internet. It has lots of good features. Even you can import affiliate products. Also you can find lots of paid and free themes for Woocommerce on the Internet. Cons: On some themes and with some plugins sometimes slows your website. Some modules like paymentwalls are paid. Selling without the heavy coding! Pros: Selling is never been easier for me. I sell website and design in a form of subscriptions. I am able to bill every month to my customers, send emails and notice of payments. WooCommerce is just that convenient. I can rely on the software without having to create o program a system to complicated. Cons: For a beginner it can feel a little bit overwhelming. The interface could be better and updates could harm data. Overall: I can sell subscriptions without having to hard code my website! Pros: If you are a WordPress fan then get to know WooCommerce. This freemium cart is a great option for setting up a shop and setting it up quick. The base cart is free and integrates well with many payment systems including now Square. If you want bells and whistles there are low cost options. Cons: You have to be experienced in WordPress and WordPress speak to get this cart up and running. Like WordPress much of the support comes by way of community forums. To me, this works but may be a hassle if you need one to one service. Overall: It is a great option to get started with Little cost until you get the store set up then upgrade with premium plugins. Pros: WooCommerce is essentially the gold standard for Wordpress shopping carts. The list of features seems endless, and it integrates with just about any payment processor you can imagine. Additionally, it has a HUGE community so it's not hard to find help when needed. Cons: Many times, there are way too many options available. The kicker is, though WooCommerce is free, many of the important add-ons aren't. For example, if you need to sell subscriptions, you need to pay For a license. There are many other examples. What's more, the software is large with many moving pieces. So, you need to be prepared when updating the plugin or site so not to break anything. 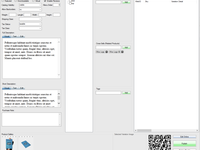 Pros: I really like how easy it is to set up, basic templates are incredibly customizable, and efficient. Also, the menus are easy to navigate and organized well by function. Cons: I dislike the varying degrees of quality in plugins- often you have to use a plugin to fix an issue or link to a 3rd party software (such as UPS/Fed-ex/ etc) and sometimes those plugins aren't the greatest and require code editing to get them to function as you would hope. Pros: WooCommerce is easy to setup and use on your CMS. Once you install the plugin the pages are automatically created for you. Cons: There are no cons to this plugin that I can think of. I have used it for years and I love it. There is no other eCommerce solution that you will need. Pros: It's free and easy to install. Easy to integrate with many other WordPress plugins and extensions. Works for small and big stores. Cons: After the easy installation, the process of setting the plugin up can be sometimes very hard for a non-tech person. Pros: This plugin has evolved a lot, it has all the necessary functionalities to have your virtual store active without making many advanced configurations. Cons: You must previously install wordpress. Not everything is free, there are many useful plugins that are paid. You can not manage multiple stores from the same place. Overall: If you are already a wordpress user and you are going to develop a virtual store, woocomerce is the perfect solution.